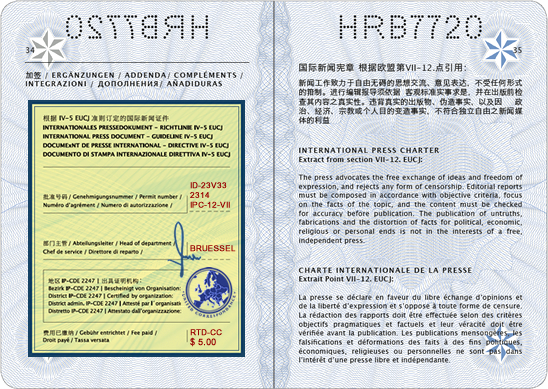 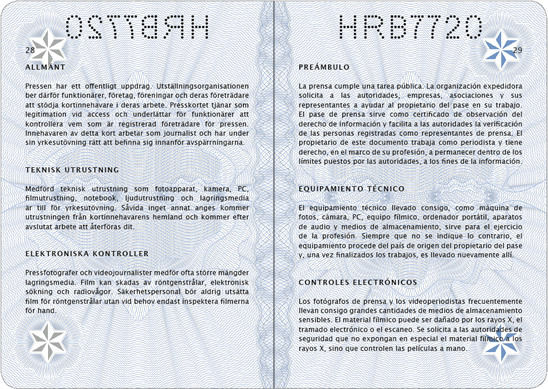 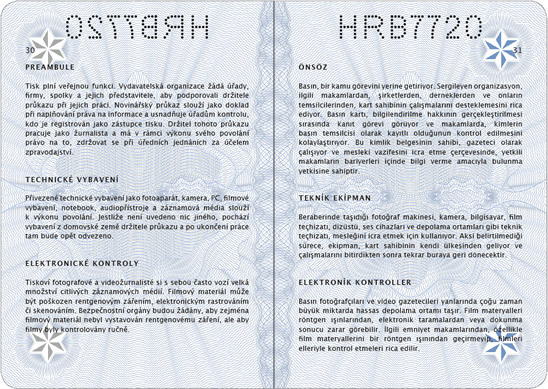 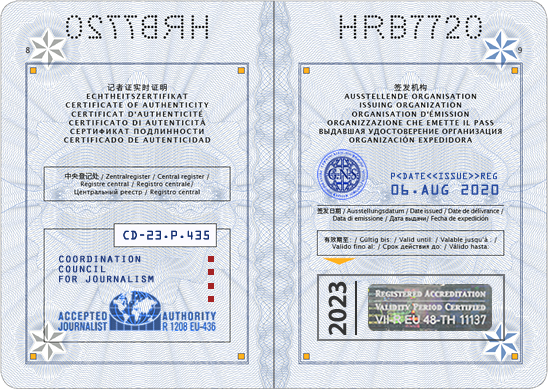 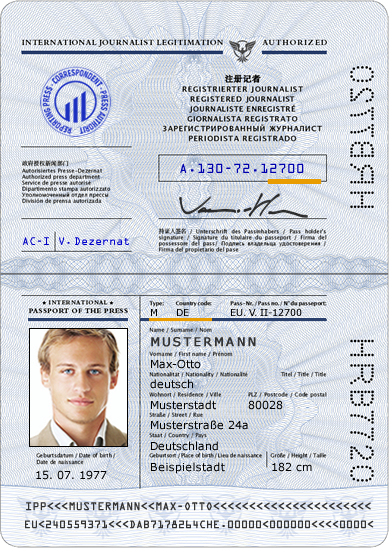 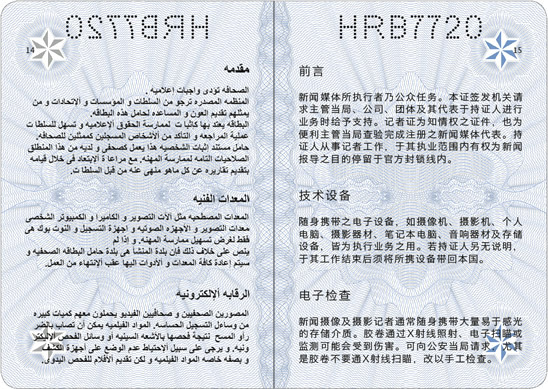 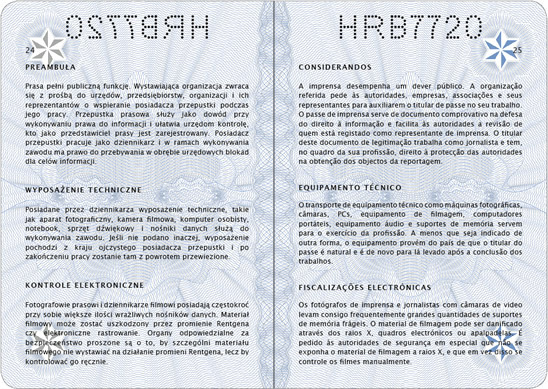 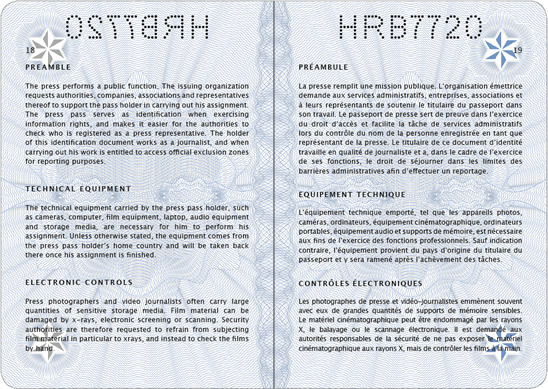 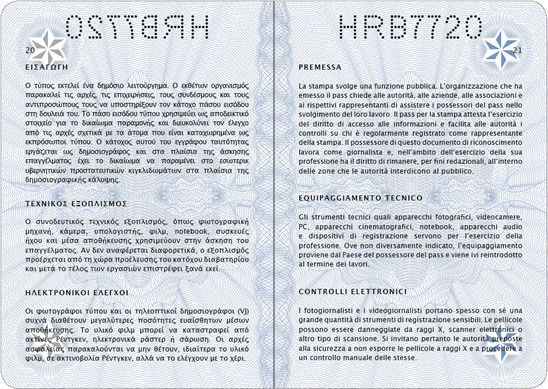 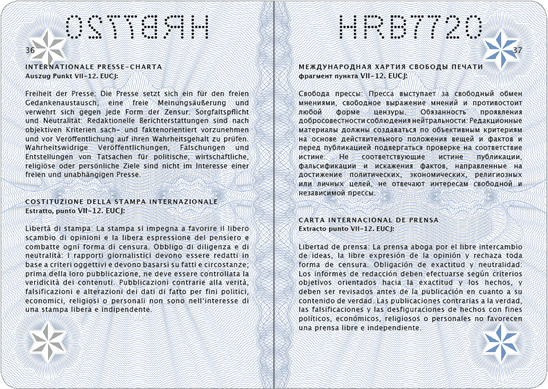 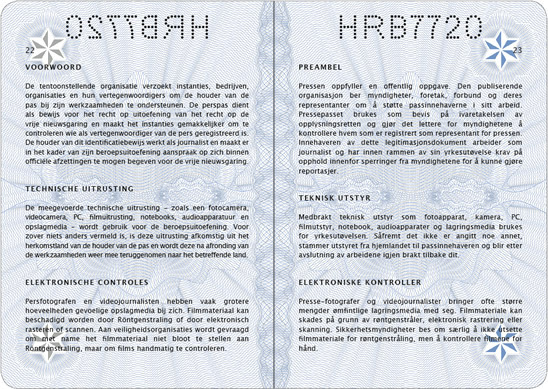 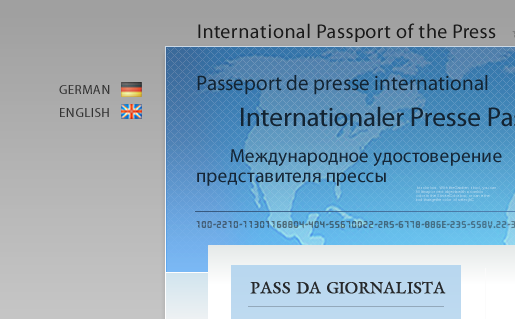 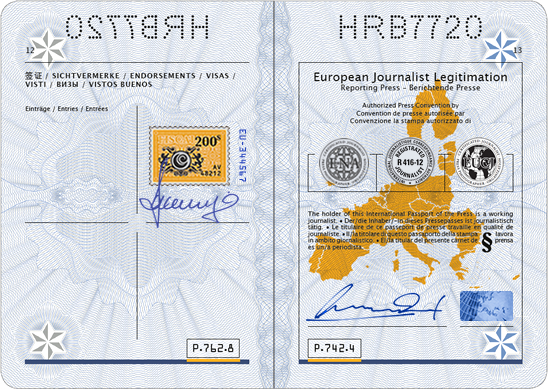 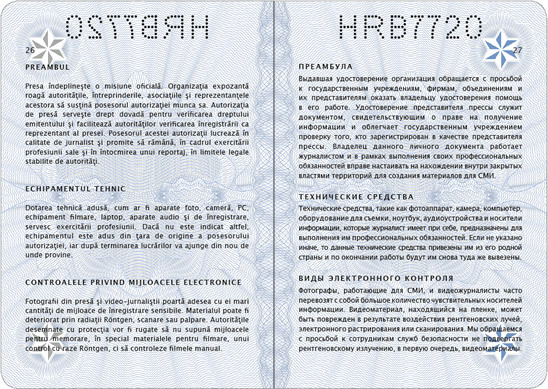 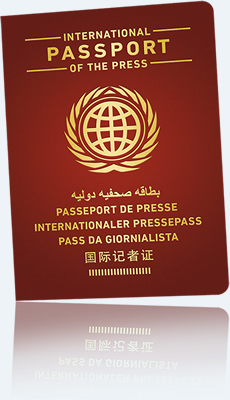 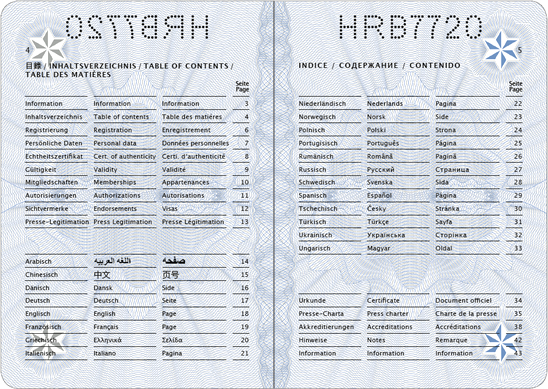 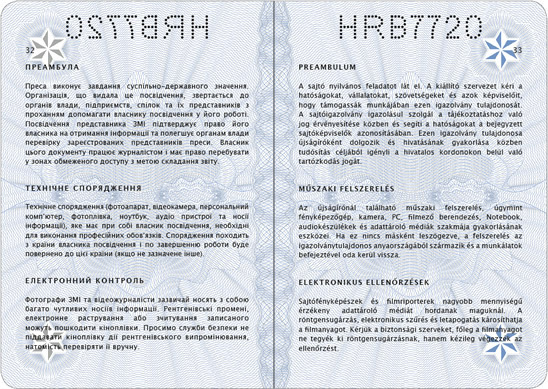 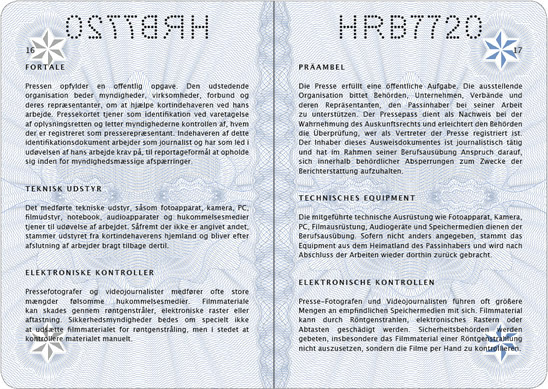 The impressive passport of the press has 44 pages and contains text copy in 20 languages. 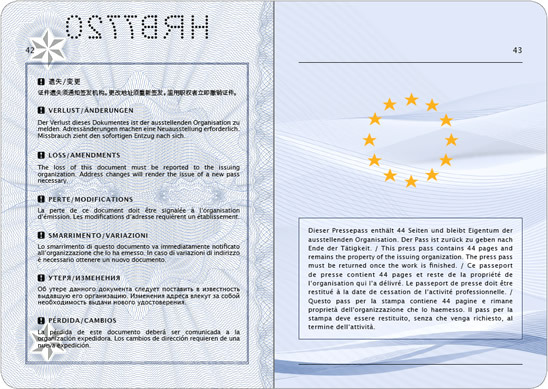 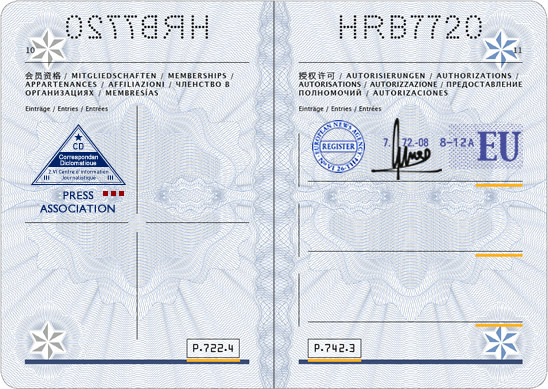 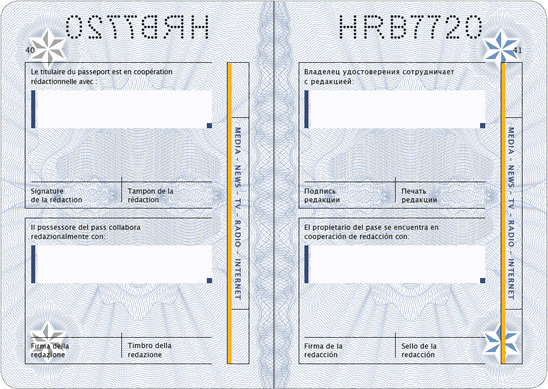 This representative passport includes relevant passport notices for government agencies and security services. 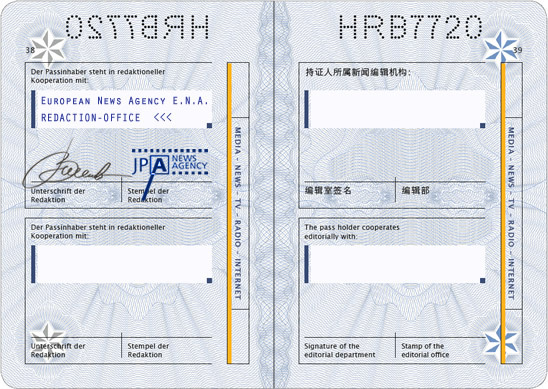 Each pass is initiated, stamped and signed by authorized issuers. 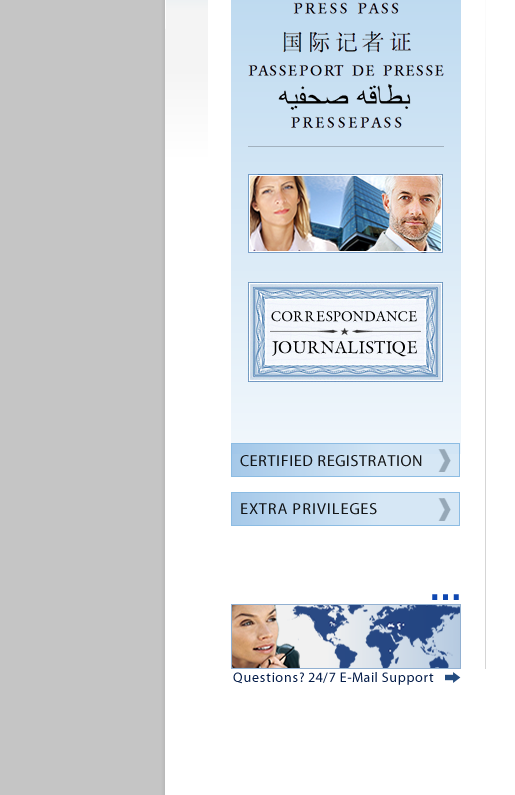 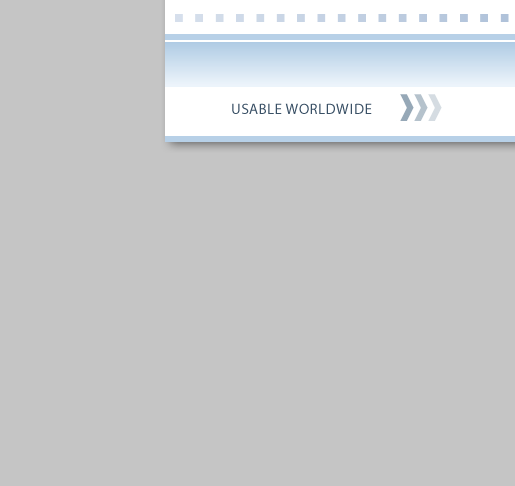 Certified registration confirmation include. 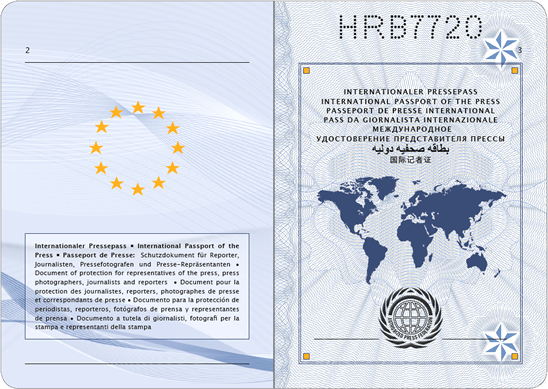 Illustrated exemplary, differences possible.